This is a gentle, non-acidic, buffered source of Vitamin C, in powder form, that can be mixed into drinks. Calcium ascorbate is gentle on the stomach and is readily absorbed. Suitable for those with intestinal difficulties such as peptic ulcers, those requiring high levels of Vitamin C under practitioner guidance, allergic individuals or pregnant and lactating women. 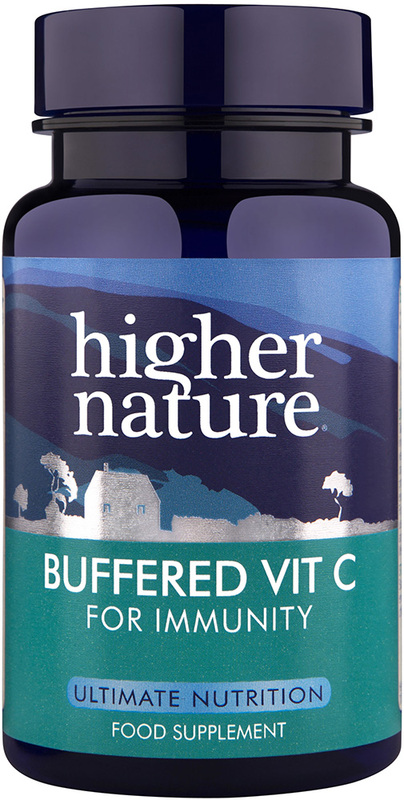 Vitamin C is required for normal adrenal gland function, it assists Iron absorption from food and is involved in growth mechanisms of all body tissue, especially in the formation of connective tissue, collagen, bone and cartilage. It is also a powerful antioxidant and immune system booster. One quarter teaspoon provides 906mg of Vitamin C.
Vegetarian, Vegan, Soya-free, Wheat-free, Gluten-free, Yeast-free, Dairy-free, Sugar-free. Ensure lid is tight and store in a cool, dry, steam-free environment as damp conditions can affect the product quality.